When I first had my baby, I was lucky enough to receive a pretty good (though not perfect) maternity leave. I always knew I would go back to work, but there was a side of me who thought, maybe I’ll stay home after I go back for the semester (I’m a teacher). So, I had a long maternity leave–12 weeks. The first month was tough. 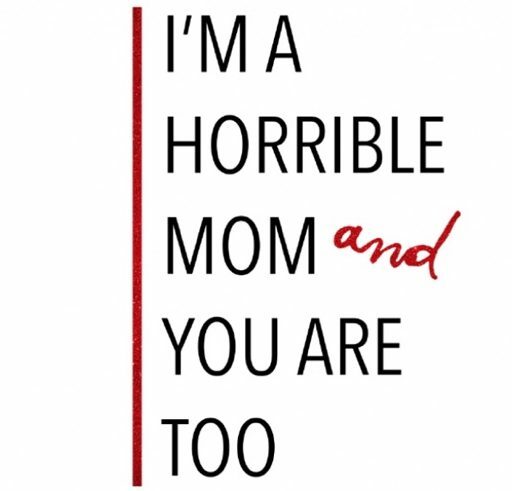 I thought, all moms feel this way in the first month. It’ll get better and I’ll want to be home with her all the time. I will eventually love to stay at home with my baby. Folks, I hated it. I hated staying at home. Don’t get me wrong: I acknowledge how incredibly lucky I was to have stayed with her as long as I did. But I could not stand staying at home all day. I got to a point where I didn’t clean, I didn’t cook, I just sat and watched my baby. I’m not organized. I’m not super tidy. But I love my baby. The thing is, staying at home with a baby is super hard. You constantly have to watch this baby, clean everything, do the grocery shopping, run errands, try to fit in seeing people –all with a baby. Most of the time, you can’t see other adults because your baby’s nap time won’t fit in with their baby’s nap time. Sometimes friends without babies can’t fit in time to see you or don’t feel like seeing your baby. Being at home with her all day caused me severe anxiety and depression. On top of that, I felt extreme guilt- why can’t I just be home, be productive here, and love staying with her? Why can’t I be a good mom and a good wife? All I wanted was to go back to work. I needed to see people and feel productive. I felt like a pile of filth with this thing I had to take care of. I questioned everything I did and there was no one who could provide logic to my paranoid ideas. I hated myself for not wanting to stay at home with her. Even so, I went back to work. I bet she would prefer some time to herself, actually. The cats will take care of her. She’ll be aight. Now wait a minute. Just because I can’t stay home all day doesn’t mean I would lose myself if I were to. It would mean I have a new purpose, a new passion, a new love. Staying at home with your child is just as commendable as going to work with a child. You, stay at home moms, are amazing. You are organized. You are wonder women. I just can’t be you. Well, she’s no pizza, but she’ll do. Since when does my wanting to have a career mean that money is tight? And since when does someone staying at home with their baby mean money is great? Most stay at home moms budget incredibly well because they’re good at that stuff. I want to work because I like to work, even though I miss her so much. I hated going back to work. I love my job, but I missed my baby. By the time I got home, I was exhausted. When she cried, I got angry, which, of course, made her angry. Thank God I have an incredible husband who helps. The guilt I felt, though, remained. The thing is, when you have a child, and you love what you do, you both win and lose every day. In the long run, what’s best for my baby is a happy mom– a woman who wants to work hard in her career and come home feeling accomplished for her baby. I would be doing her a disservice if I did something I didn’t love. So to sum up: sometimes I really don’t like my baby, but I love her all the time. Sometimes, I really don’t like my job, but I love what I do all the time. But I will always love pizza.